Frontier Squares – Learn to Square Dance! 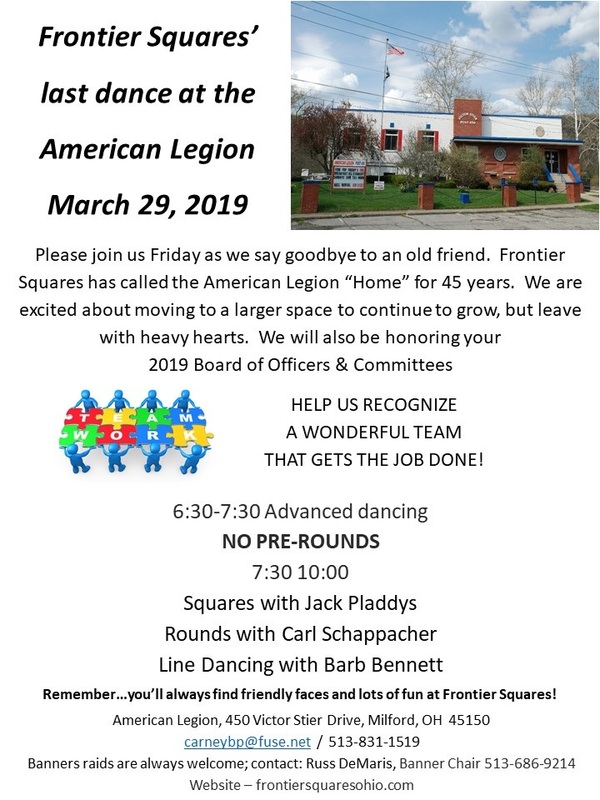 We're excited to announce that starting Tuesday, April 2, Frontier Squares will be dancing at its new location at Prince of Peace Lutheran Church at 101 South Lebanon Road, Loveland, OH. Thank you to the American Legion for years of accommodations for our festivities. Check the Calendar for all our upcoming dances! Square Dance for Fun, Fitness & Fellowship! 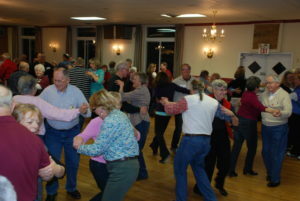 The Frontier Squares Dance Club is Milford's place to square dance! We are proud to be one of Cincinnati's largest clubs with more than 100 members. To foster the art of square dancing and improve dancers’ skills, with a strong focus on promoting and expanding square dancing within the community. We fulfill this mission by providing guidance and education in a fun, friendly, welcoming environment. Frontier Squares is very fortunate to have amazing callers, cuers and instructors! On the average of once a month, Frontier also invites notable callers from around the area - and the Country! Want to learn to square dance? 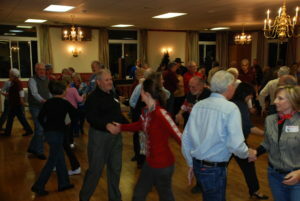 Our square dance classes start in January. Today’s square dancing is choreographed to Modern Country and Pop favorites. We mix it up and make it fun with theme nights on our Friday Night Dances (1st, 3rd and 5th Fridays). 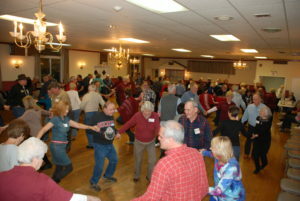 Plus, Square dancing isn't all you'll learn - we also mix in Round Dancing and Line Dancing. This year's class began on January 9th and will continue learning a few calls a week through October to make it to Plus Level in Western Star Square Dancing! Here's our guests and club members practicing the Grand Right & Left on the very first night. In case of inclement weather, watch for “Frontier Squares Dance Club” cancellation on Channel 12 after 5:00 p.m.